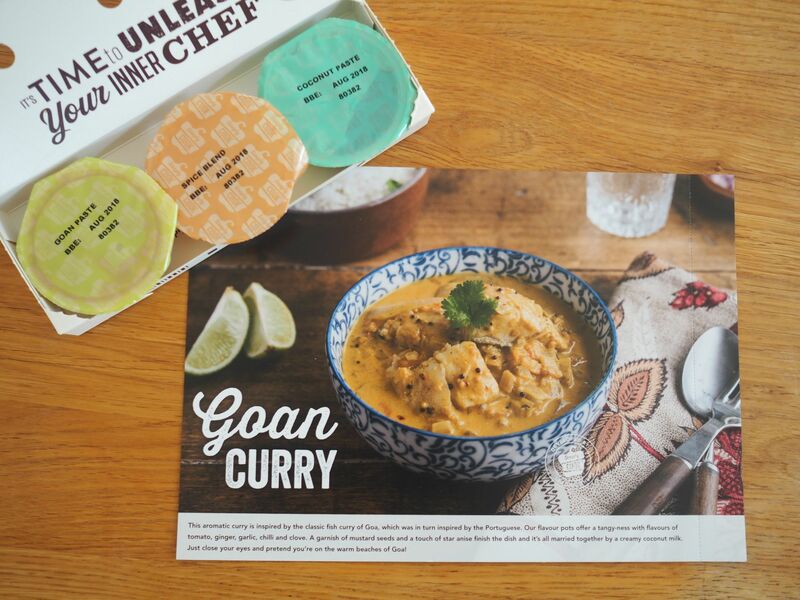 Getting My Cooking Mojo Back With Simply Cook Recipe Kits. Right now, I’m away on holiday in Lanzarote with Ian and the children. (Follow me on Instagram and Instagram Stories to see what we’re up to). We’re eating out but we’re also sharing the cooking at our villa. I love nothing more than socialising and celebrating at every opportunity with family and friends. Cooking, baking and entertaining is a big part of this. I enjoy making meals from scratch and I have countless recipe books. However, over the last few years, I’ve lost my cooking mojo. Life’s got in the way. I work longer hours and most of the time, I’m on my own with two teenagers. My son is always ravenous when he gets back from school so raids the cupboards the moment he walks through the door. As well as that, he plays football at least two evenings per week so he needs to eat early. My daughter likes to eat and then do her homework. I realised that dinner became a hastily thrown together affair. Mealtimes became functional instead of enjoyable. I was bored with my ever-decreasing repertoire of suitable, quick-to-make recipes. Enter Simply Cook. 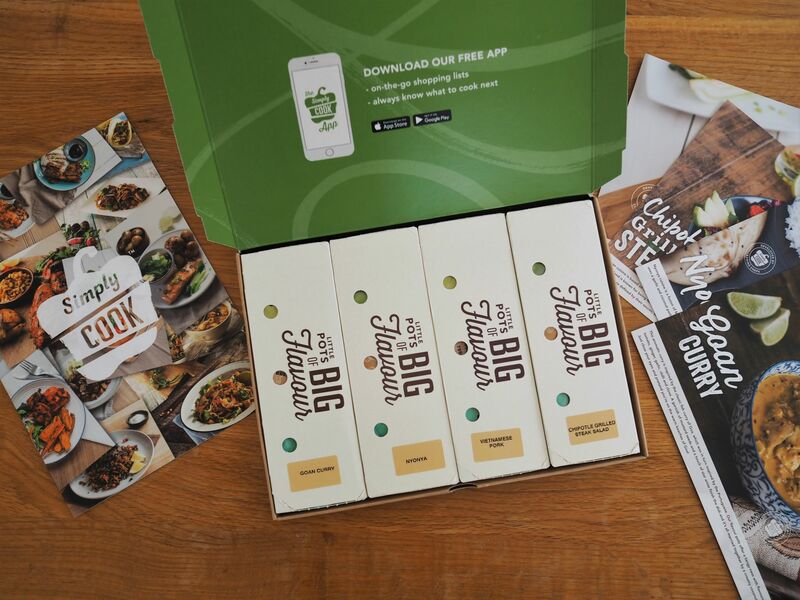 Simply Cook is a subscription service that delivers a box of recipe kits to your door. 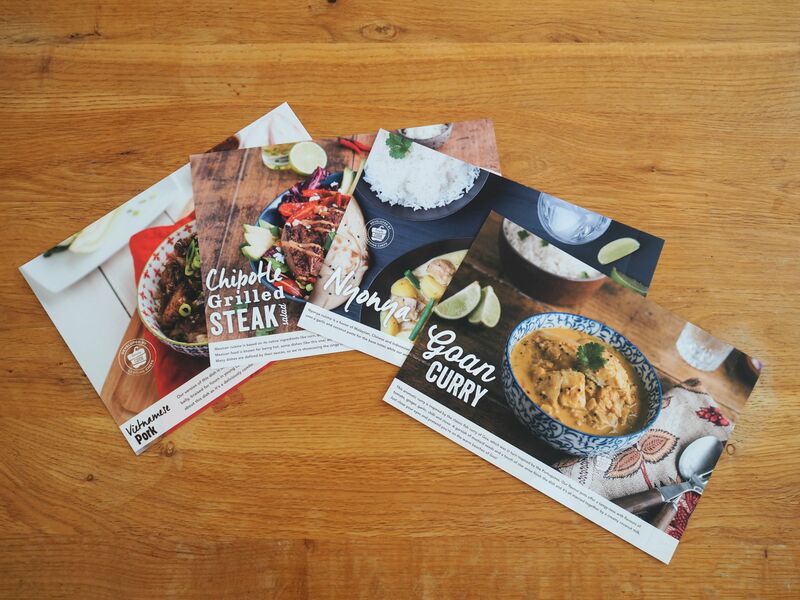 Each box contains four recipe cards with the appropriate herbs, spices, rubs and infusions for each recipe. The cook simply needs to get the fresh produce and store-cupboard staples that each dish requires. Each kit is designed to serve 2-3 people so I just added more fresh ingredients for my family of three when I used the kits. Each box costs £9.99, with the cost of the whole meal working out at £3-£6 per head. The box fits through most letter boxes too which is very convenient. Simply Cook chooses what goes in the initial box but after that, subscribers can log into their account and pick and choose as they wish. Of course, the proof of the pudding is in the eating. What did I think of Simply Cook and perhaps more importantly, what did the children think? 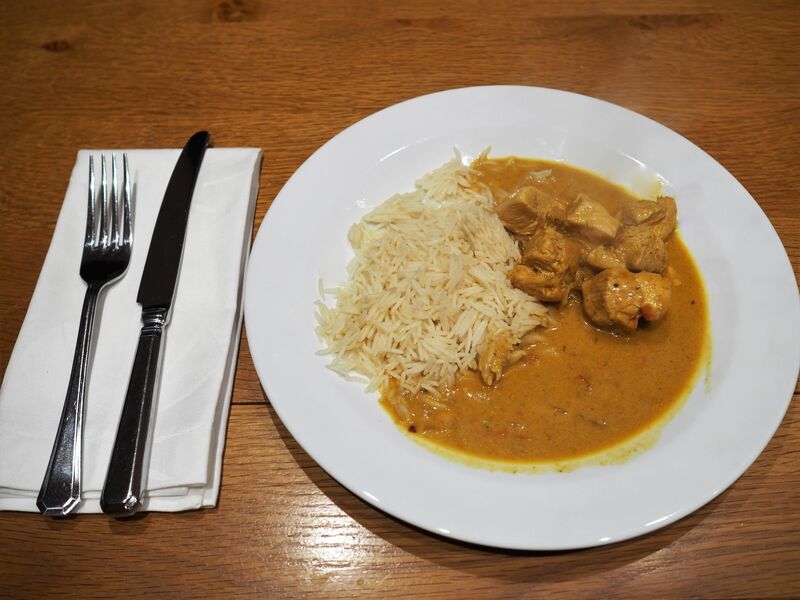 (This is a picture of the Goan curry. (I love a white table setting and you can see the rest of this setting in action in this post). Well, we were very impressed. We enjoyed four lovely meals and the spices, pastes and blends in my kit were delicious. Simply Cook takes the thought out of what to cook. 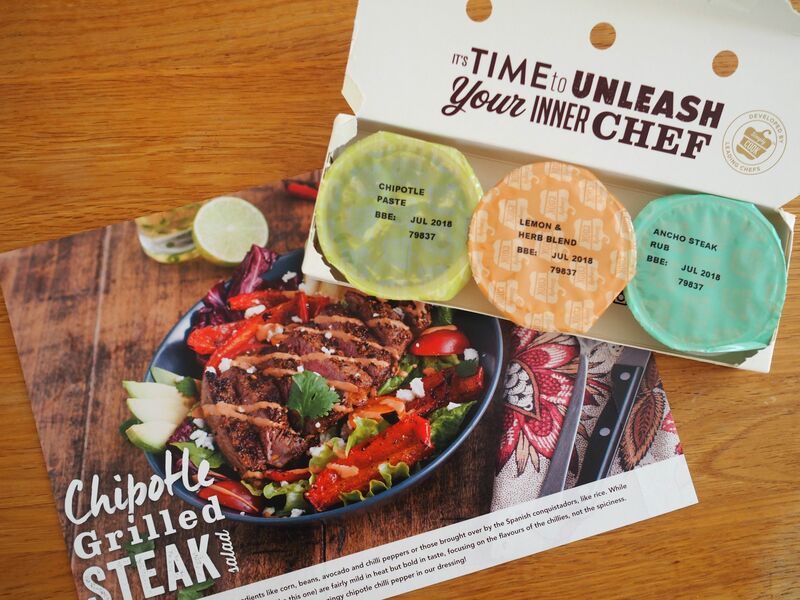 Each recipe card has a small tear-off portion to take shopping and none of the meals took more than thirty minutes from start to finish to make. It is still cooking with fresh ingredients but without having to blend herbs and spices or make pastes which is time-consuming. It’s an excellent way of cooking four healthy, different, well-thought out meals on those busy Monday to Thursday evenings. 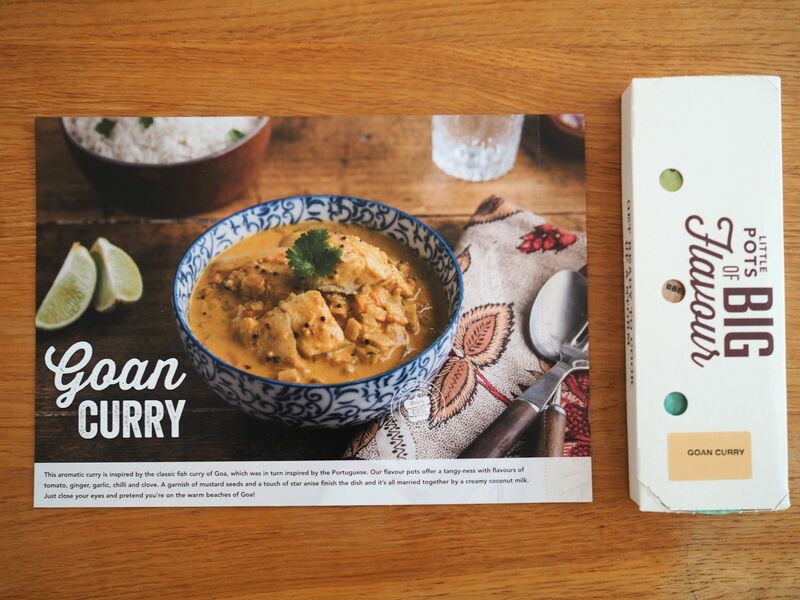 Although Simply Cook sent this kit to me, this post isn’t sponsored nor was I obliged to write about it. I’m genuinely impressed with the recipes and very grateful not to have to think about what to cook, for at least some of the time anyway. Previous Post Metallic Top, Boots And Bag For A Girls’ Night Out.